FP-8SV is an 8 cup mid-size Cuisinart Food processor. If you have a family and looking to get a big family dinner ready this food processor will help you get your job done. Its available in a variety of colors and finishes. Silver would look great on your kitchen shelf although gunmetal and white are also available with very little difference in cost. Here check the white version it looks clean and can make your small kitchen look more spacious. Before you read below it’s better to have quick look on Amazon and then read the analysis here for a more in-depth view. It’s easy to assemble and easy to clean, as its mid-sized Cuisinart food processor you can easily handle it. Its lightweight and has a strong build. You will easy time to move this around in your kitchen cabinets. The box contains the standard stainless-steel chopping/mixing/dough blade. As the function indicated the same blade is able to handle the named functions. It can handle shredding cheese and carrots and it comes with reversible slicing/shredding discs. It also comes with 2 discs, one is small while other is larger for grating, shredding and slicing purposes. The packaging also includes a chopper blade and it’s in ‘S’ shape. In addition to slicing discs, FP-8SV also includes standard blender blade that does an excellent job of making delicious smoothies to crushing ice. The difference is marked by one disc which makes slices and grates thicker than the smaller one. It’s not super quiet like higher end units but its relatively quieter than the small-sized entry level Cuisinart mini food processors. Bowl is spacious with a capacity of 8 cups and is BPA-free and is marked with US measurement markings in US and metric units. All parts are removable and are dishwasher friendly. The good part is the buttons are made up of plastic so that the food cannot get stuck on it. Therefore, its easy to clean the base with a wet cloth. This Cuisinart 8 cup food processor will be your friend in the kitchen. The touchpad contains three options high, low and pulse options to control the course to finer results. The High and Low button stays on when pressed one while pulse button act as a push button. FP-8SV can puree nut butter, prepare coleslaw from cabbage and carrots, blend herbs for salad dressings, puree soups or smoothies. It can make appetizers, bread, dips faster. It can take a few tries before you can master its pulse function. In order to avoid watery pulverized much of onion you just need to pulse the onion for few times. You can make delicious mayo with this mid-sized food processor. It can also handle 3 cups of almond paste at a time. As per the manual, you can knead 2.5 cups of pizza dough with it. Just use the paddling with the pulse button. Similarly, it can take care of a nicely done pie dough and grind meat just put in skinless and boneless chunks of meat cut into comfortable small size. If you are the fan of cracker then the good news is the graham cracker will stay inside the bowl. Like all Cuisinart 14 cup food processors, it works perfectly for hummus. Standing at 16 inches high it can produce 1/8 to 1/16 of slices thickness. 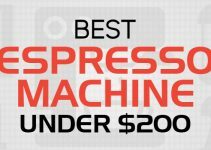 You might feel at first locking the machine but its done in order to optimize user safety. The trick is to align the feed tube and lid into the front of the machine. Just make sure that lid upon the bowl making sure that feed tube is right for you and you can twist it towards you. The first time will be a learning curve but it won’t take much on the second attempt. The stainless steel color is plastic finish it’s not proper stainless steel finish. Although its mid-sized but it’s not highly economical and large enough to deal with your daily kitchen chores. 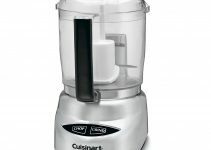 With warranty given and if you are on a mid-sized budget this Cuisinart 8 cup food processor is an ideal machine to buy. It’s very versatile and above list will prove to be too handy for you. Head over and read more buyer reviews.